THE SOUNDTRACK to Taunton's summer continued to grow as more concerts are announced. As well as three nights of live music at Vivary Park in July, further concerts have been announced to take place at Taunton Racecourse. 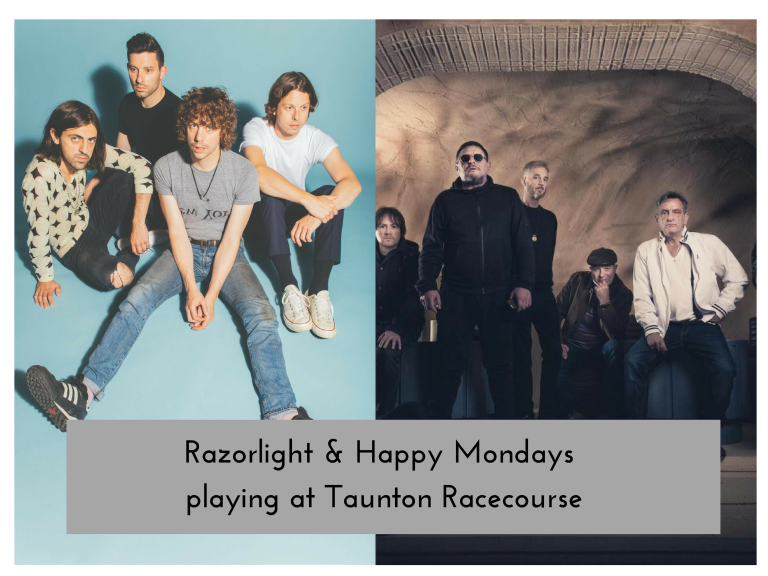 Razorlight and Happy Mondays will be performing on Saturday, August 17. Indie rock band Razorlight will be headlining the event, with lead singer and guitarist Johnny Borrell bringing hit songs such as 'America', 'In The Morning' and 'Golden Touch' to the crowd. Manchester band The Happy Mondays will be special guests at the event. Liz Doogan-Hobbs MBE, CEO of LHG Live, said: “We are absolutely delighted to be working with Razorlight this summer and to be bringing yet another fantastic concert to Taunton. "The racecourse provides a beautiful setting for what promises to be a wonderful night of summer sounds. "Razorlight have a huge catalogue of hits and are phenomenal live and we are certain that the Happy Mondays will prove hugely popular with fans, too. Tickets will go on general sale at 9.00am on Wednesday March 6 at lhgtickets.com and ticketmaster.co.uk. Earlier in the summer, three other events will be taking place in Vivary Park as Bananarama, Madness and Tom Jones play on the weekend of July 12. Limited tickets are still available at ticketline.co.uk.